Today is our eight year wedding anniversary and I can't believe that it has been eight years since we got married. So much has happened (numerous moves and 4 kids) and it seems that time has gone by so fast. This was the first year that we weren't able to celebrate our anniversary together. Our traditional anniversaries aren't anything huge- we usually just watch a movie and have take-out. Since we weren't able to do that this year, Jacob made sure to make the day extra special. Fed-Ex came by the house while we weren't home so I was bummed to find out that I'd missed a package. Luckily, our driver came by a couple hours later with not one, but TWO packages for me! What could it be?? 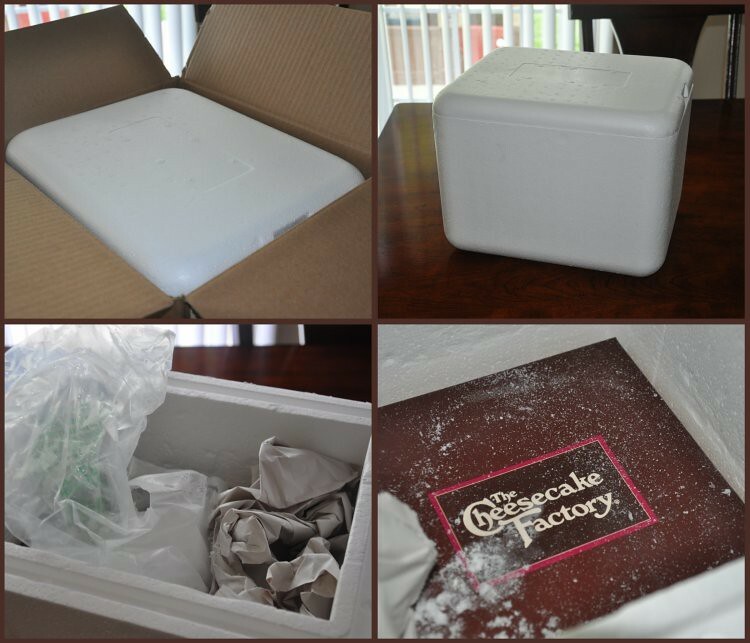 A styrofoam ice chest?! With a layer of dry ice?? YUM!!! 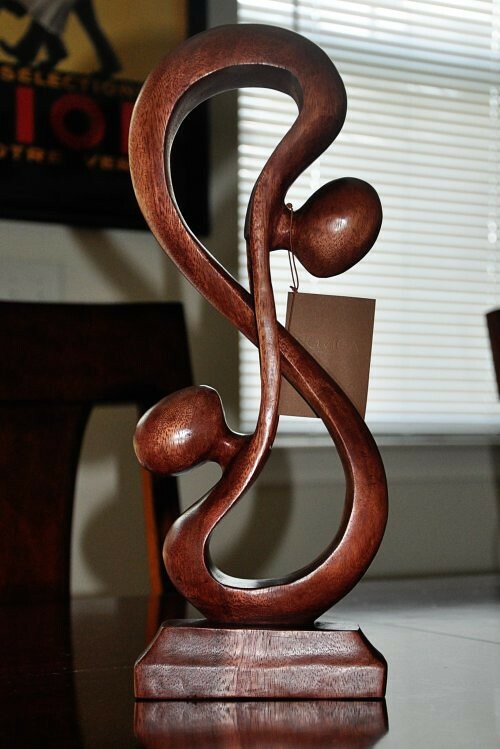 A BEAUTIFUL hand-carved wooden sculpture entitled "Acrobat Lovers"